Developed under Japanese technology Acnes Mentho-cool Pimple Defence Face Wash cools down the skin and makes it oil free. This skin cooling face wash contains skin conditioning ingredients and IMP++ to remove over 99% pimple-causing germs. Additional Information: Acnes is Japan's No. 1 acne care brand, all Acnes products are formulated with a unique and highly effective combination of ingredients that helps remove 99% of acne-causing germs. Explore the entire range of Face Wash available on Nykaa. 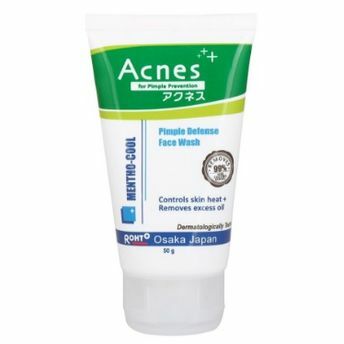 Shop more Acnes products here.You can browse through the complete world of Acnes Face Wash .Alternatively, you can also find many more products from the Acnes Mentho-Cool Pimple Defence Face Wash range.